BlackBerry's very own Pad-a-like has landed. Is it the tablet to kill them all, or has RIM missed a trick? Here's all the official info you need on the new tab. Will you be picking one up? The next round of the iPad vs. 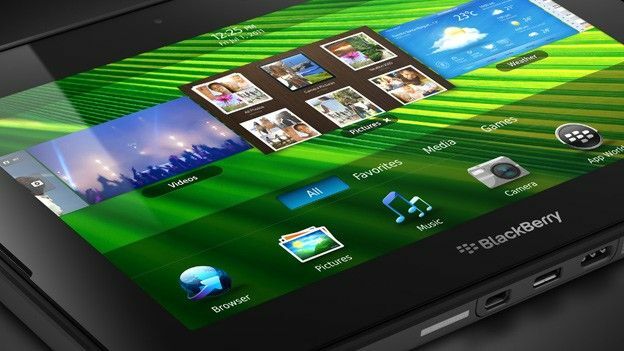 The World begins as RIM's own contender steps into the ring: the BlackBerry PlayBook. And it's certainly done its homework on its Apple competitor, packing what it calls 'true multitasking', full Flash support, a 1080p screen and front-and-back-facing cameras for video chat. So, an iPad-beater? We'll have to wait until one wings its way over to T3 Towers for some rigorous testing to answer that definitively. Are we approaching the end for major apps on BlackBerry?